Dark Chocolate VS Milk Chocolate: which is healthier? Chocolate is extracted from the cacao plant. Pods are taken from the tree, which contains cocoa beans. These are crushed and the mash is then extracted and fermented for around seven days. Dark chocolate has a much higher percentage of cacao included in it, and it therefore tends to be lower in fat. This style of chocolate appears much darker than milk chocolate because it is more pure. Depending on the percentage of cacao in the product dark chocolate often has less sugar than milk chocolate. Dark chocolate has a cocoa solids percentage of around 65 per cent or greater. Since dark chocolate is more natural, it has an increase in health benefits if consumed in moderation. 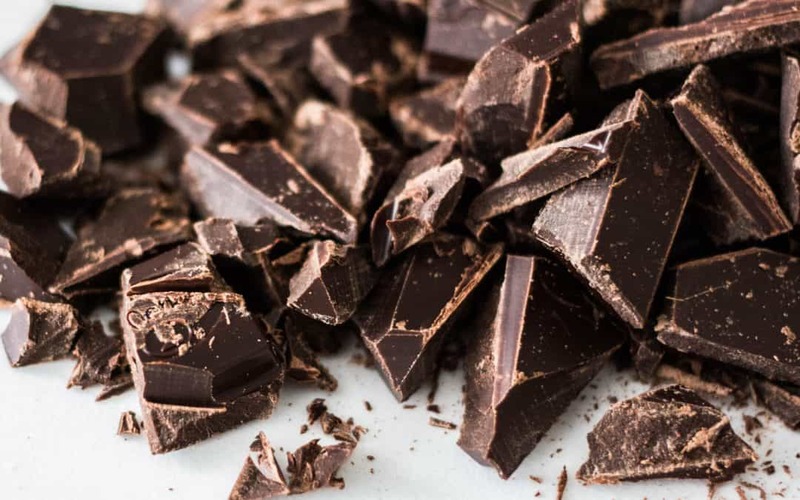 Dark chocolate has been shown to have high levels of antioxidants, which may help rid the body of toxins and free radicals that can tax the cells and contribute to oxidative stress. Dark chocolate may also help by lowering blood pressure and fortifying the cardiovascular system, helping to control glucose metabolism. Milk chocolate is more refined than dark chocolate and as such has a smoother, sweeter and creamier texture than dark chocolate. Milk chocolate was first produced in 1875 by a Swiss manufacturer called Daniel Peters. Milk chocolate usually contains around 30 per cent cocoa solids and uses milk powder or condense milk to make the chocolate creamier and sweeter. Dark chocolate has a higher percentage of cocoa solids than milk chocolate. Milk chocolate is made by combining chocolate with milk powder or condensed milk. Dark Chocolate has a much lower sugar content and less calories. Dark chocolate contains up to four times the fiber. The flavanols in coca may protect against sun damage. I consume 1 square of my favorite 85% dark chocolate a couple of hours before catching some rays and use coconut oil as natural SPF if exposure is limited. Enjoy the benefits of dark chocolate in moderation. 1-2 squares per day of high quality organic dark chocolate of at least 70% cocoa is recommended! Whisk together coconut flour and 1/2 cup milk until smooth. Cook remaining 3 1/2 cups milk in a large, non-aluminum saucepan over medium heat until bubbles appear around edge of saucepan (about 4 minutes; do not boil). Whisk in chocolate, honey, vanilla extract, and salt until blended and smooth. Whisk in coconut flour mixture. Bring milk mixture to a light boil, whisking frequently (about 4 minutes). Remove from heat. Let cool slightly. (Mixture will thicken as it cools.) Serve immediately with Marshmallow Whipped Cream, if desired. Here are some great ways to mix it up! Mexican Rich ‘n’ Thick Hot Chocolate: Prepare recipe as directed through Step 2, whisking in 1 1/4 tsp. of ground cinnamon and 1 tsp. ancho chili powder with chocolate. Proceed with recipe as directed. Orange-Almond Rich ‘n’ Thick Hot Chocolate: Prepare recipe as directed through Step 2, whisking in 3 Tbsp. orange juice and 2 Tbsp. almond liqueur with chocolate. Proceed with recipe as directed. Amaretto for almond liqueur works great. Grown-up Rich ‘n’ Thick Hot Chocolate: Prepare recipe as directed through Step 2, whisking in 1/2 cup Southern Comfort with chocolate. Proceed with recipe as directed.